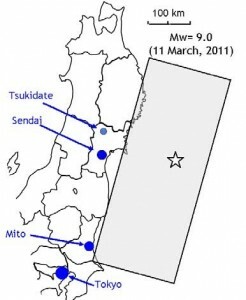 At 2:46 PM local time on March 11th, 2011, a gigantic earthquake of magnitude Mw=9.0 occurred and affected the eastern half of Japan. Because the seismological aspects of this earthquake have been reported at many web sites and publications, the present report puts emphasis on the damage aspects that have so far been revealed by the post-earthquake investigations. 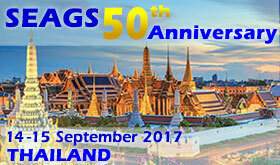 This report is a contribution made by many members of the Japanese Geotechnical Society. The causative fault of this earthquake is located in the Pacific Ocean off east Japan where an oceanic tectonic plate has been subsiding under the archipelago (Fig. 1). In the area of Sendai City, that is one of the biggest cities in the eastern part of Japan, there had been warning about a possible big earthquake in the coming years. It was anticipated that a part of the plate subduction to the east of Japan would cause this extreme event. The reality was, however, more than anticipated, the size of the causative mechanism being 500 km in length in the NS direction and the width being 200 km. In modern times, two gigantic earthquakes have been reported in this part of subduction. The one in 1896 registered the seismic magnitude (M) of 8.2 to 8.5 and the associating tsunami killed 21,915 victims together with 44 missing. The other one in 1933 was of M=8.1 (Mw=8.4) and claimed 1522 victims with 1542 missing. Both earthquakes caused minor intensity of shaking. Another tsunami disaster in the same area was caused by the 1960 Chile earthquake of Mw=9.5 and 142 people were killed. Those experiences encouraged both public and private sectors to be prepared for future tsunami disasters by constructing high sea walls and conducting tsunami evacuation drills, in which the height of future tsunami was decided on the basis of previous tsunamis. Despite those efforts, the present earthquake produced much bigger tsunami over the entire coast of east Japan (Fig. 1). It is often said that the 2011 earthquake is of similar size and effect as the Jogan earthquake in AD 869 that hit the same area and produced huge tsunami damage.